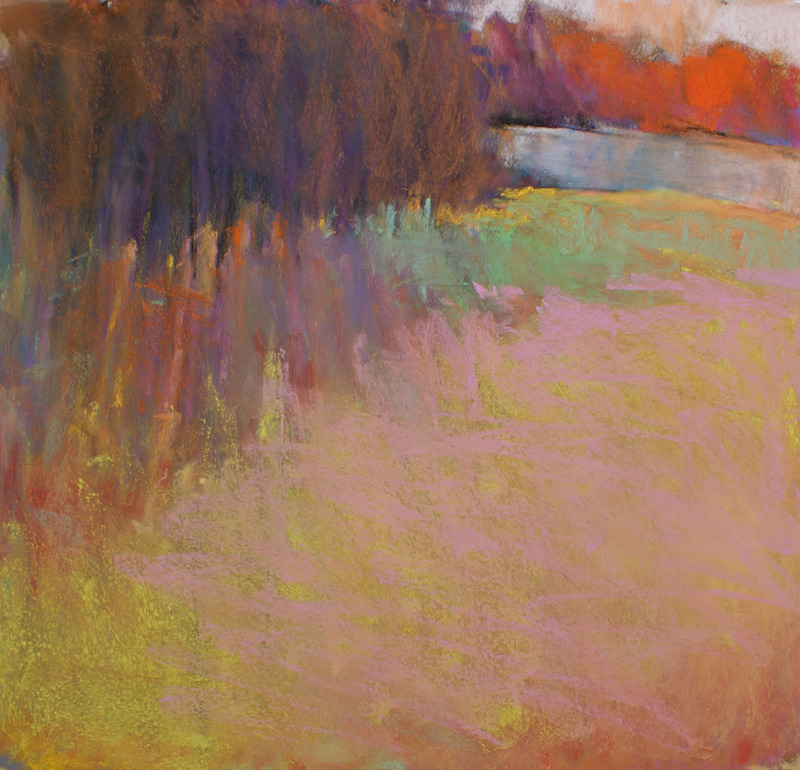 New pastel on sanded paper, Bright Encounter, 14 x 14 inches. This began as a completely different image, but the pastel got away from me, so I turned it upside down and began a new work over the failed one. I do like the way this worked out via the moves I made to make this work a success. I'm a witness to this awesome work's generation, Ken. Great image of it, too. Beautiful painting with great colours. Thank you Casey and Karin! Gotta do more with that encouragement.